I'm back today with another of my 'Little Cotton Rabbit's Teddy Bears. He is one of three bears that I made just before Christmas. 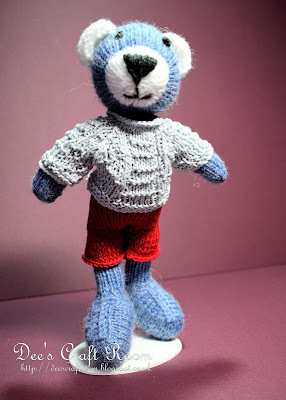 As I finished each bear I took a quick photo and wrapped them, so there was no time for me to take a group photo this time. 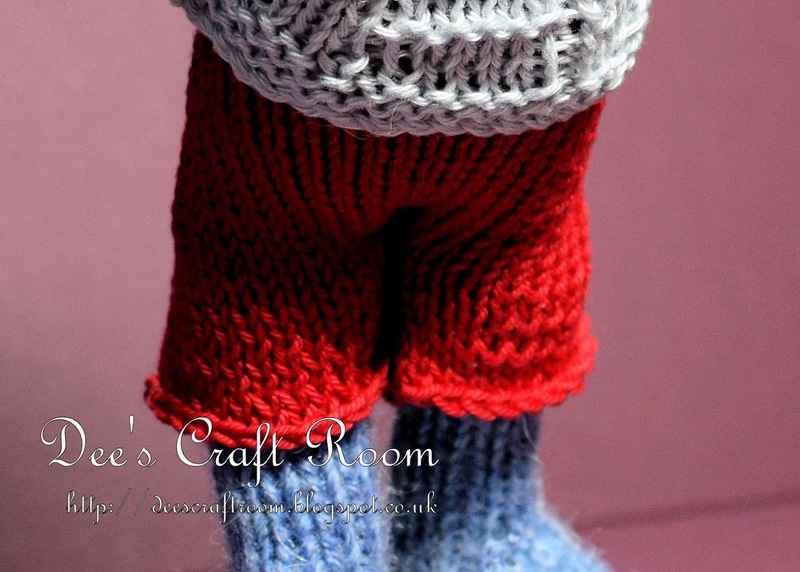 This little guy is one of Julie Williams patterns, this one is called 'Boy Bear' and it is available from Ravelry. 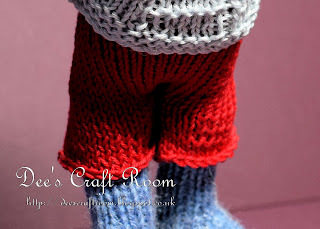 He is made of a alpaca/wool mix double knit and his clothes are made of cotton 4 ply. Thank you so much, I really love to read your coments, you make my head swell! Ha ha. 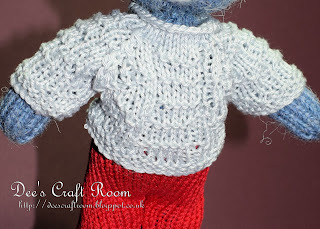 The little jumper was a bit of a challenge, but I got there in the end.